I don’t understand part of a Knits Please pattern. How can I get help? Your first port of call is the Knits Please YouTube channel where you’ll find a number of tutorial videos to help you with your knitting. If you can’t find what you’re looking for, drop an email to hello@knitsplease.co.uk and I’ll do my best to help you. 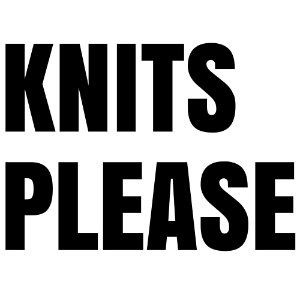 Please note, I work full-time and manage Knits Please on the side, so it may take me some time to get back to you. Can I sell items made using Knits Please patterns? Yes, you can! 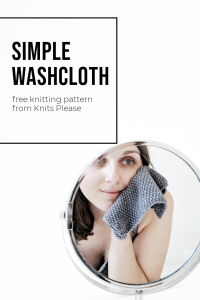 You are welcome to sell anything you make using one of my patterns, but you must cite Knits Please as the pattern designer on any listings, tags and communications. However, you are not able to use any Knits Please images of the item, you must take your own of the item you have made. Can I share my Knits Please pattern with a friend or family member? No, you cannot do this. If a friend or family member is interested in the pattern, please direct them to the listing on the Knits Please website where they can purchase their own copy. Redistributing patterns is considered theft, but is also really disrespectful to pattern designers and their businesses. I’ve noticed and error in a Knits Please pattern, how can I let you know? Oops! While all of my patterns go through a testing process, it’s always possible for something to slip through. Please drop me an email at hello@knitsplease.co.uk to let me know what you’ve spotted. Thank you! I’ve bought a pattern, how will I receive it? Firstly, thank you! I really appreciate your support! If you purchased your pattern through the Knits Please website, you should receive an email shortly after with the PDF download for your pattern. If you don’t receive your email, please let me know by emailing hello@knitsplease.co.uk with your order number, but do check your spam folder first! If you purchased your pattern on LoveKnitting you should also receive an email with a PDF download. Alternatively, you will be able to find the pattern by logging into your LoveKnitting account and viewing your pattern library. I’ve lost my pattern PDF, what can I do? The first thing I would say is to make sure you download your pattern straight away, and save it somewhere you know you will be able to find it again. I’d also recommend you keep the original email so you can access it again if needs be. If you’ve lost it completely, please contact hello@knitsplease.co.uk with your order number or purchase receipt and I’ll do my best to help.